RICHMOND, VA – CarMax and Sports Backers today announced an innovative partnership for the upcoming Movement Makers: National Active Living Summit presented by VCU Health, with CarMax generously providing $10,000 in scholarships for non-profit organizations interested in taking part in the summit. The CarMax Movement Makers Scholarship Program creates an opportunity for non-profits involved in supporting and promoting active living to participate in Movement Makers, which will further grow the active living community within the region. Applications for the CarMax Movement Makers Scholarship Program are currently being accepted, and the application can be found at the following link: http://www.movementmakers.com/apply-for-the-carmax-non-profit-scholarship-program/. Taking place in Richmond May 17-19, Movement Makers will provide individuals and organizations with hands-on opportunities to experience new ways to encourage and support physical activity in their communities. CarMax is also proud to be a featured employer during the Workplace Wellbeing session on Friday, May 19, which will give participants an opportunity to experience firsthand how CarMax supports and encourages healthy lifestyles at work. Part of the add-ons available at Movement Makers, the session will include a tour of the CarMax Home Office and CarMax Shockoe, as well as discussions with employees leading CarMax’s health and wellness efforts. The deadline to apply for the scholarship program is Friday, May 5. More information on the summit and the CarMax Movement Makers Scholarship Program can be found at www.movementmakers.com. 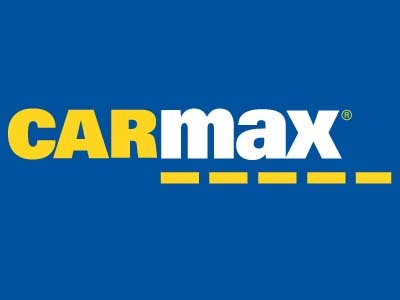 CarMax is the nation’s largest retailer of used cars and operates more than 170 stores in 39 states nationwide. CarMax revolutionized the auto industry by delivering the honest, transparent and high-integrity car buying experience customers want and deserve. For more than 20 years, CarMax has made car buying more ethical, fair and stress-free by offering a no-haggle, no-hassle experience and an incredible selection of vehicles. CarMax makes selling your car easy too, by offering no-obligation appraisals good for seven days. At CarMax, we’ll buy your car even if you don’t buy ours®. CarMax has more than 24,000 associates nationwide. During the 12 months ending February 28, 2017, the company retailed 671,294 used cars and sold 391,686 wholesale vehicles at its in-store auctions. For more information, access the CarMax website at www.carmax.com. With a key message of Let’s Go, RVA, the mission of Sports Backers is to inspire people from all corners of our community to live actively. A non-profit organization, Sports Backers is dedicated to producing nationally recognized quality sporting events and programs that motivate residents and visitors alike to be more active, supporting youth running and fitness programs, and advocating for safe and connected networks of bike and pedestrian infrastructure. Learn more at www.sportsbackers.org.